Sometimes there is a necessity to hold meetings; they can be a stepping-stone to create a new product or to move forward with a new project, or just a way to confirm that everyone in the business is following the same page and moving in the right direction. However, have you experienced a successfully scheduled meeting, one where everyone was on time, and you actually finished with a plan for the future? This in itself is difficult but with a few handy tips, an unorganized scheduled meeting will over-run its allocated time and no real out-come will come from the meeting. It is important that you are able to connect with people who you work with and technology lets you do more than you might imagine. 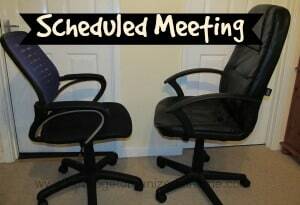 Instead of emailing or phoning colleagues trying to match up a day for the best time to arrange a meeting, it is possible to share information from your diary that will allow a person who is trying to get people together for a meeting, to be able to schedule it in the relevant spot and then informing everyone of the meeting. Some software options, which you can use, will allow you to contact all people required for the meeting and share documentation including the agenda all in one place. 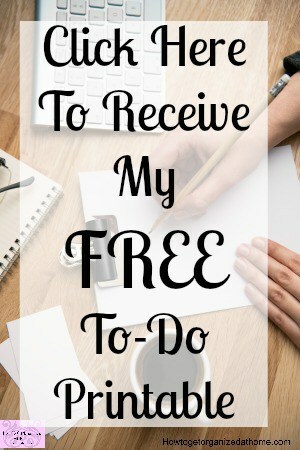 The best ones I have used is Asana, I find it relatively easy to use and you can share your online calendar with the facility on the site to ensure you never miss an appointment. There are things that you will need to complete before the meeting and these include the agenda. If you have a meeting and no one seems prepared, then ensure that you have outlined the agenda in a set of questions, directed to the person that it involves. Each area of the meeting will need to have a time scale in place, this ensures that the meeting doesn’t overrun. It is also a great idea to have a scheduled meeting before lunch; this keeps people on their toes wanting to get out for their scheduled break. It is vital that you set up your own meeting goals with what you hope to achieve. This will ensure that you have all the information to hand to ensure that the meeting is heading in the right direction. If the meeting starts to alter the course then it is easier to realign if you have clear guidelines as to what you want to achieve. Timekeeper, in charge of keeping the meeting moving forward in relation to the time available. Action recorder, person responsible for noting down any actions needed and the name of the person responsible for completing said task. Meeting facilitator, this person is in charge of the meeting and the running of the agenda, making sure all topics get covered. Presentations, these get presented as per the agenda and assigned by the meeting facilitator. It is important that you keep the meeting on time, start even if people are late, this is not acceptable and their late presence, whilst noted, but no comment to their lateness, as this can lead to making them feel important and continuing with this line. However, it is important that those who are late have tasks for actions that need completing; this should help to end this practice in the future. If you require a brainstorming session, this needs completing with people standing up, it means it is short but a quick activity. It is important that you finish the meeting on time and those people who have tasks to complete know what they need to do and what the time scale is, the recorder will send this information out to clarify any points in case anyone missed their assigned tasks. Therefore, a scheduled meeting doesn’t need to be difficult to sort out if you think carefully what the meeting is about, clearly set out the rules for the meeting of what you expect in advance.